Language is Influence: World Language Week: Decorate! Happy Tuesday! Yesterday I shared some resources for bringing language besides Spanish into your Spanish classroom. Crazy, I know. 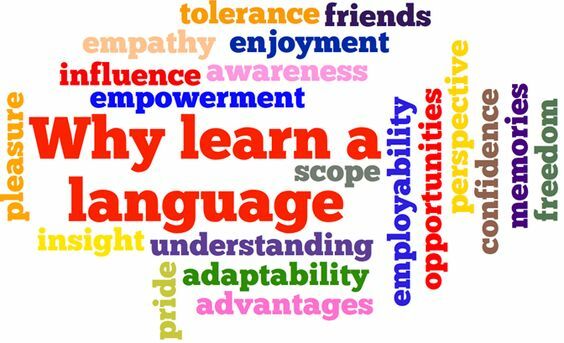 But when we're celebrating World Language Week 2016, we want to open our students' minds even wider to the array of possibilities that languages offer. 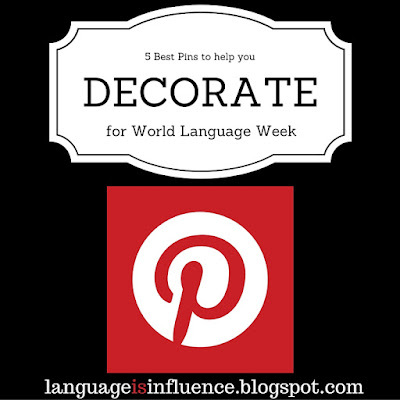 Today, I want to focus on ways you can make your classroom, hallway, and surrounding areas feature and teach languages all throughout the year, but especially this week. I've narrowed it down to 5 pins that I have loved having in my classroom because of the conversations they bring up, the color and interest they add, and the topics they feature. As you look through this list, I encourage you to click on the links, print out the infographic/picture and then display it around your room on colored construction paper, or even make a large banner of it at your local Staples. Rosetta Stone created a great infographic that shows the "Business Risk of Language Barriers." This can get your students thinking about how languages might make them more marketable in the coming years! This pin helps categorize languages into groups of "Easy, Medium and Hard" to learn for English speakers based on the amount of hours required to gain proficiency, and the similarities or differences in the alphabet and grammatical structures as they relate to English. Encourage your students to be bilingual (or trilingual!) with this information about how much more money languages can earn you compared to your peers who know just one language. 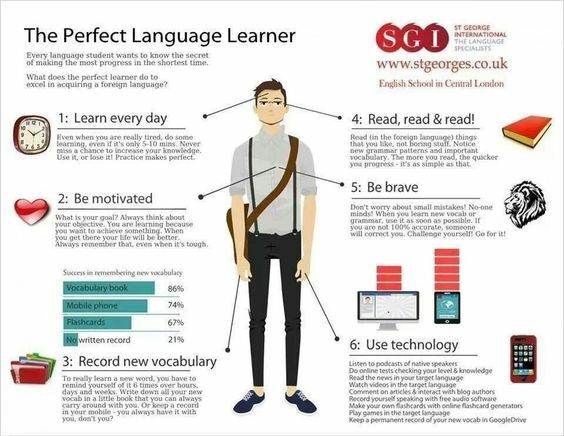 This might inspire your students to become the "Perfect Language Learner!" 5. And this picture has twenty reasons to study language. It is interesting to have students discuss which word motivates them the most! Perhaps you could print off these pins, (or ones like them) and lay them on random desks as students enter. As they observe and make comments, scaffold their focus. Or, you could utilize your document camera or project them so you don't have to print them initially. Come up with ways to draw students' attention to them by asking specific questions. My favorite routine is to place them in "high traffic" areas of my classroom: by the pencil sharpener, by the recycling bin, by the tissue box, etc so that students have the best chance of noticing them throughout the day. Tape them to your door! Hand them on fishing line from your ceiling! Peak their curiosity and teach them something new even when you're not instructing. Do you have go-to decorations you love in your classroom? Share them with us by commenting and linking them below!